Over the past couple of months, I volunteered as a slush reader for the PulpRev Sampler Anthology. With a submissions window of just seven days, writers had to produce punchy pulpy pieces of 750 to 1500 words. For a project with little fanfare and such a short reading period, the response was phenomenal. With submissions from established writers and newcomers to the field, I believe this anthology provides a well-rounded overview of the PulpRev aesthetic. In this post, I'd like to share some of the writing lessons I learned as a slush reader. I cannot stress this enough. No matter how good your story may be, if it doesn't meet the submissions guidelines, it will not be published. PulpRev's submissions criteria were simple: We want stories with heart. We want stories with muscle. We want stories with heart and muscle in unexpected ways. We want stories that leave you demanding more. In addition to the submission guidelines, we also included links to articles that further elaborated what we believed was the pulp aesthetic. 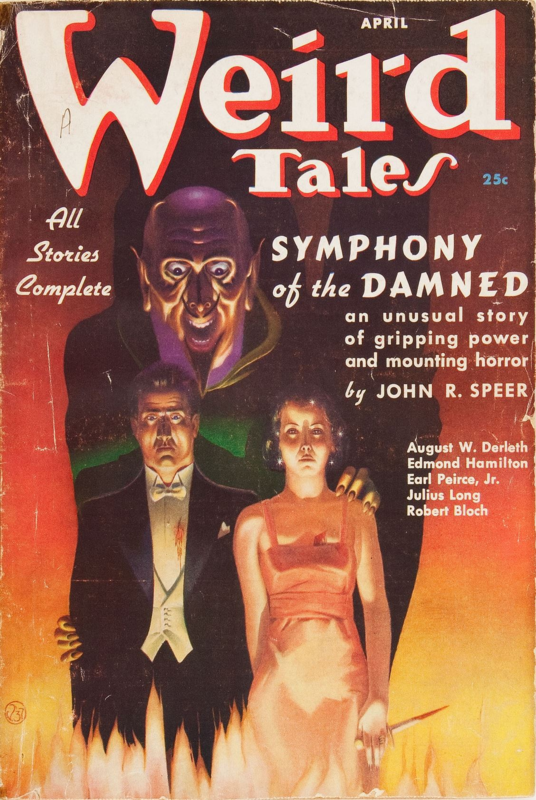 Despite that, by far the most common reason I cited for rejecting a story was that it was not pulp. Some of them were excellent stories--one of them actually had the potential to win literary awards--but I couldn't give them the nod because none of them were pulp. If a story doesn't meet a market's requirements, there's no use submitting it. It wastes your time waiting for a response, and the editor's time evaluating it. You're better off submitting the story to a market that's a better fit for the work, or outright self-publishing it altogether. Speed is the name of the pulp game. Write fast, edit fast, publish fast. From start to finish, the sampler took twelve and a half weeks. Not too shabby for a bunch of enthusiasts new to the publishing game. But the other side of the coin is quality. PulpRev doesn't respect the pulp masters simply because they published fast; they respect the masters because they mastered the craft of writing. The second-most cited reason for rejection was poor quality. Being able to rush a story to meet a deadline doesn't guarantee publication; it only guarantees a foot in the door. If the story isn't good enough, that foot will be kicked out. To write fast and write well, you need to work hard to reach that summit of skill -- and recognise there are always greater heights to strive for. You need to be obsessed with honing your craft, improving speed and quality in equal measure. You want to be the guy everyone loves to read, edit and publish -- not the one whose stories everyone dreads. Give the world your best work. Not necessarily your best work ever, but certainly the best work you can produce at that time. Once your story is in the pile, you are competing with who knows how many others for a limited number of spots. If you want to be published, you must stand out. If you're sending in a badly written trunk story from years ago without updating it, if you just carelessly dash off a couple of thousand words just so you can submit something, if you don't take the time to proofread and edit your first draft, your chances of publication are extremely slim. Editors, especially volunteers, are only willing to put in so much work to edit and polish a story. If they feel they will spend too much time working on a story to bring it up to an acceptable quality, they will drop the story in favour of superior ones. This mindset trickles down to the slush readers. Barring specific editorial instructions, slush readers don't read to accept. They read to reject. You have one sentence to grab the reader's attention, one paragraph to sink the hook, and the rest of the story to sustain and grow interest. It's not easy. Quite the opposite. But the ability to do this is the difference between the best and the rest -- and the published and unpublished. At the bare minimum, the story must be readable. It has to be coherent; it has to have proper spelling, punctuation and grammar; it has to have memorable characters, forward momentum and a logical plot. If you can achieve this, you're already halfway to success. Writing isn't simply about dumping words on paper. In the same vein, editing and publishing isn't just about picking a story apart, then throwing a bunch of stories into a Word document and hitting the publish key. For me, writing is a systemic process, with discrete steps to be carried out every step along the way, in recognition that every step influences every other step. So is publishing, more so if multiple people are involved. To work fast, you need to be efficient. To be efficient, you need to ensure you aren't duplicating work, working at cross-purposes with each other, undermining yourself by doing unnecessary work at inappropriate times, and ensure that everyone is on the same page. We had a number of dedicated volunteers who carried the project from start to finish. Nevertheless, the anthology could have been pushed out sooner, and there were points where we could have tightened our workflow. With that said, this was the first time any of us had done anything like an anthology before, and we ha the inevitable teething pains to overcome. Now we are armed with greater experience, and I hope the next anthology will be an even better experience all around. PulpRev is a small but lively corner of the Internet. Outside of a few niche circles I don't think anybody has heard of us. Nevertheless, in a bid to showcase works of the more experienced authors in the aesthetic, we reached out to veteran writers and requested for stories. The response was amazing. Jon Del Arroz provided an excerpt from his steampunk novel For Steam and Country, while John C. Wright offered the first chapter of his free online novel Superluminary, and David J West and Jon Mollison sent us stories of their own. These stories form the nucleus of the PulpRev Sampler. The thing that strikes me the most about the PulpRev community is the unbridled spirit of generosity, compassion and amiability. We may disagree (and loudly!) on various issues, but we're all in this together to help each other out. If you need help from such people, just ask -- the results will astound you. 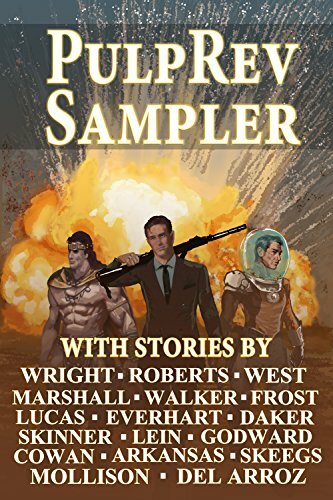 The PulpRev Sampler Anthology can be found on Smashwords and Amazon. If you're a fan of old-school pulp fiction, check out my novel No Gods, Only Daimons. It mashes together science fiction, fantasy, espionage and military tropes in true pulp fashion, and was so well-received it was nominated for the Dragon Award in 2017. Any word on feedback for rejected stories?